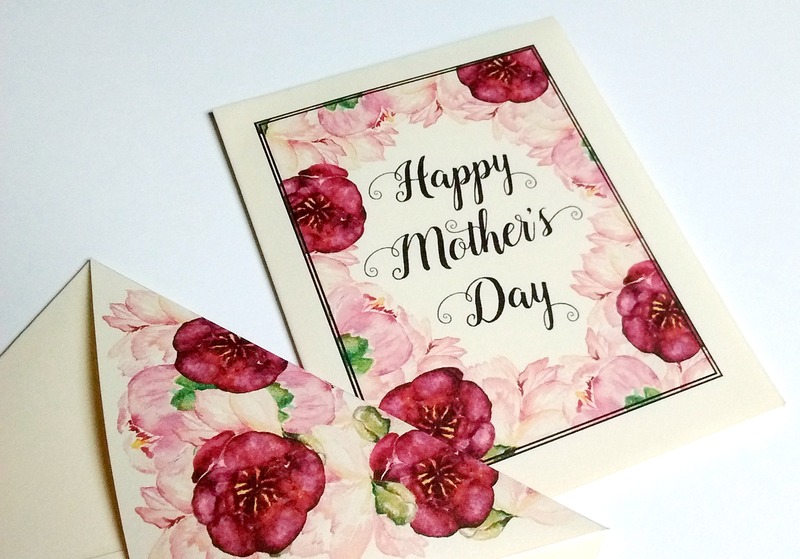 This week’s free printable is a mini Mother’s Day Card with envelope! If you didn’t get a card yet, and you need one quick, this may be just what you need. I am really loving these burgundy and pink flowers, and can’t help but make a few more things with them. 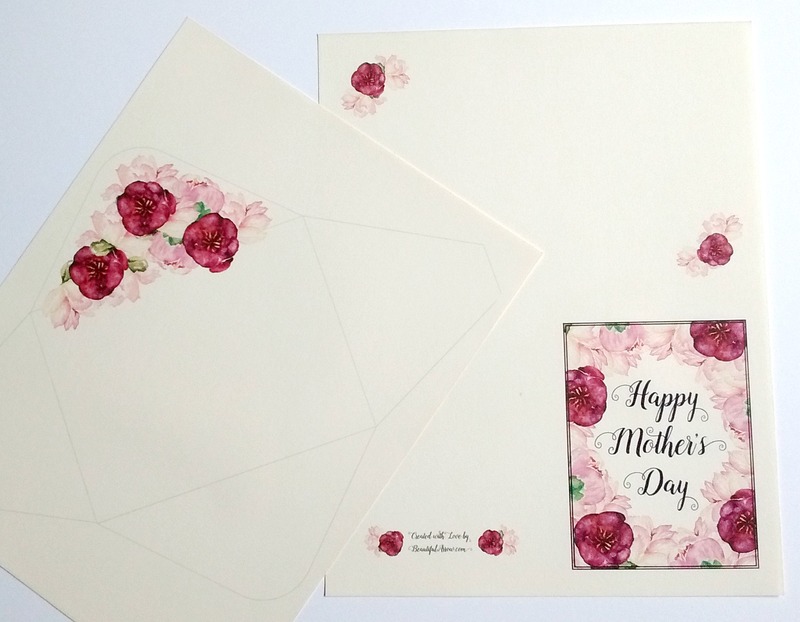 So here is a mini card that prints out on 8.5 by 11 size paper and folds into quarters, and fits perfectly into the envelope that is also decorated with these lovely flowers. The envelope also prints out on 8.5 by 11 paper, and you will need to cut, fold, and glue it to assemble. I think these come out a bit better on a little heavier weight paper than the regular 20 lb., like the 24 lb. Ivory colored resume paper I used in these photos. But regular paper will work fine too, though the envelope may be a little sheer. When you print them out, make sure to select the ‘actual size’ button on Adobe Acrobat, otherwise they will come out a bit smaller if you select “fit”. I am in the process of making several of these cards for the ‘moms’ in my life. One for my real mom, but also for my several spiritual moms who have been such an encouragement to me. And a few for some special ladies who have been spiritual moms or ‘aunties’ to my kids. ffering from dementia, and has not been herself for several years now. I love her the best that I can, but it has been tough. But even when I was a child, my mom was not exactly the mom I wanted. 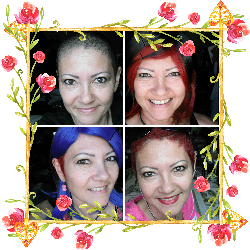 She suffered from depression, and had anger issues, and was overly harsh many times to my naturally gentle personality. I am still in the process of healing from some of that. 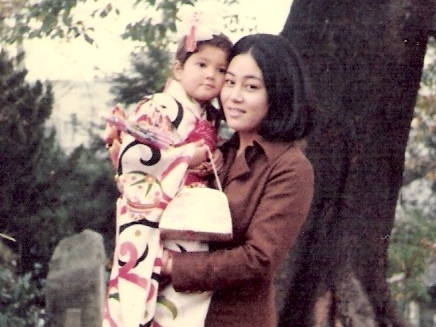 But I realize that my mom had a really hard life, and did not have the opportunity to receive healing from a lot of the trauma she went through. And as I get older, I am learning to really see and appreciate the good things that she did pass on to me. I am a dancer because of my mom. And I am embracing her toughness, her fierceness, her boldness. Even though she often squashed me with her tough personality, I know that she wanted me to be strong like her. So I will embrace that now, and become the strong person she wanted me to be. May you bless someone with this printable card. If you had a wonderful mother, may you bless her and let her know. And if you had a mother who hurt you, may you forgive, so that you will be free from torment. May you release anything negative that you may have received from your mother. And may you embrace everything good that you received from your mother. And may you receive the true love of a mother’s heart from other places and people, huge waves of love and acceptance, that it may embrace you and fill your heart to fullness. Happy Mother’s Day, and huge blessings to you! You can download the card HERE. And to my subscribers, it is already in the Resource Library!